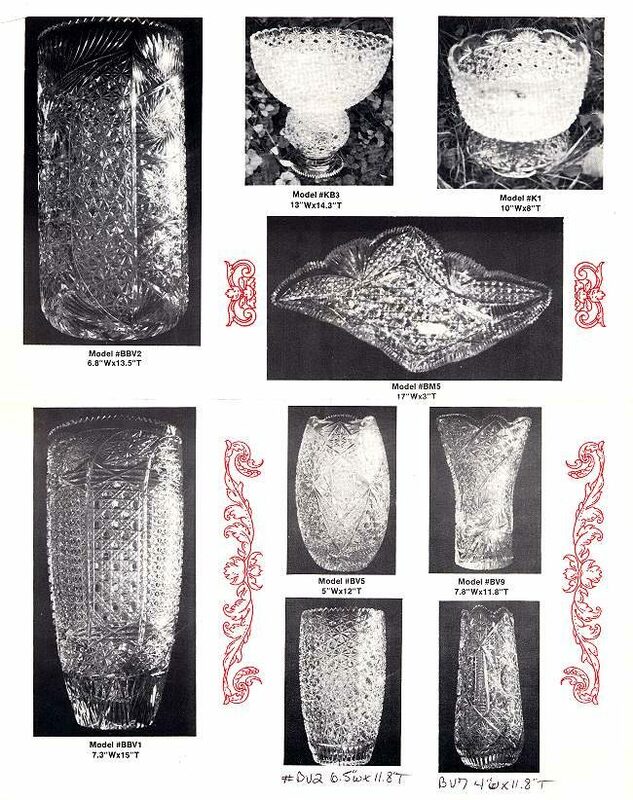 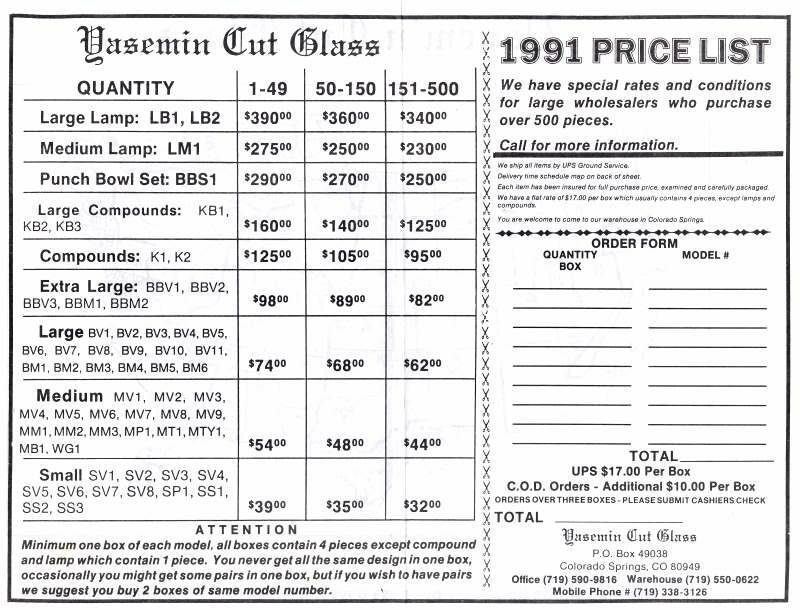 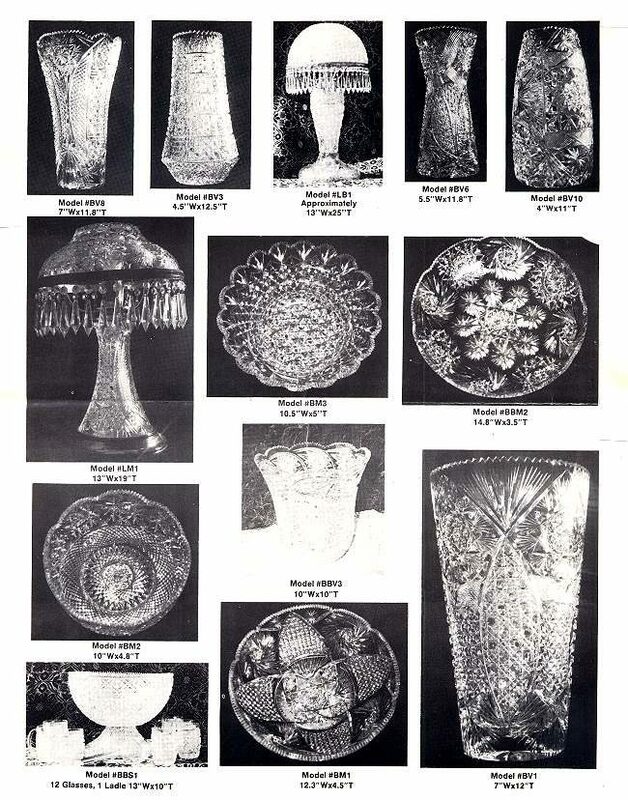 The files of Martha Louise Swan contained an 8-page 1991 catalog for Yasemin Cut Glass. 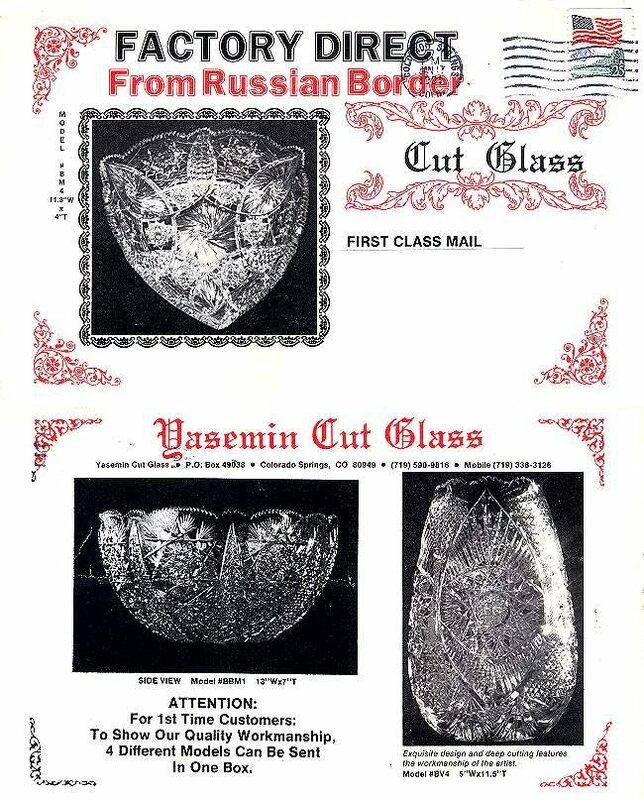 The brochure states: “OLD American cut glass is back!” Yasemin was a family-owned company that advertised ‘factory direct from Russian Border.” They had a post office box and phone number in Colorado Springs, CO. We have not been able to find any reference to Yasemin Cut Glass in current searches on the internet. 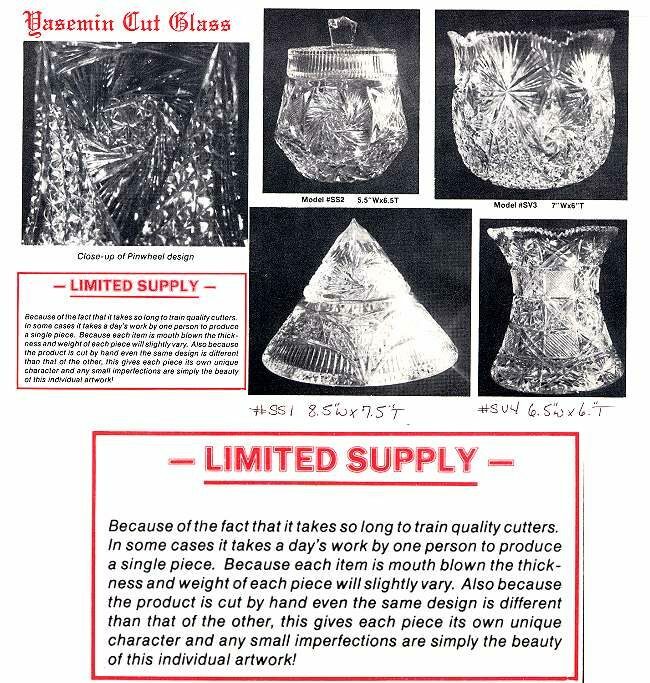 We have all seen this product being offered on eBay and some auction sites as authentic American Brilliant cut glass. 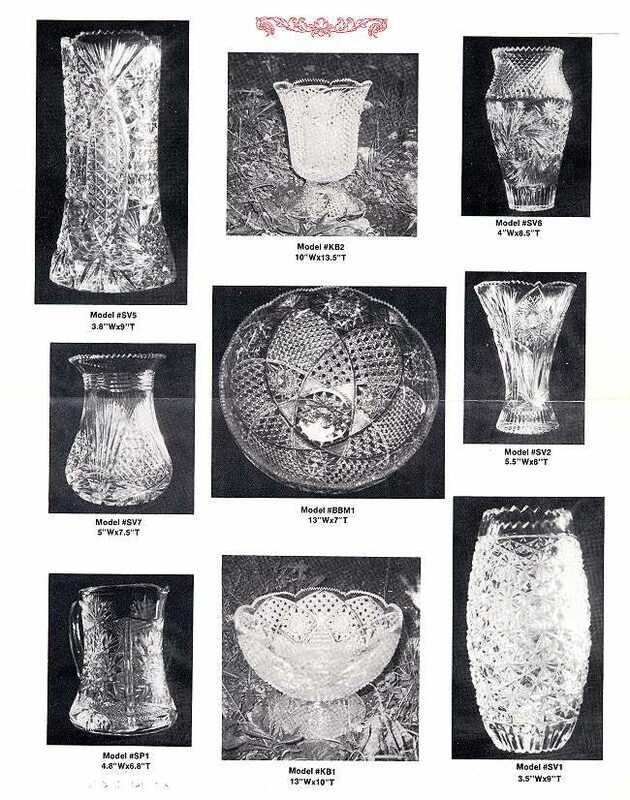 If you note the small, sharp teeth, the blank shapes, the motifs used and their arrangement, it is easy to tell that the offerings are NOT authentic American Brilliant cut glass. 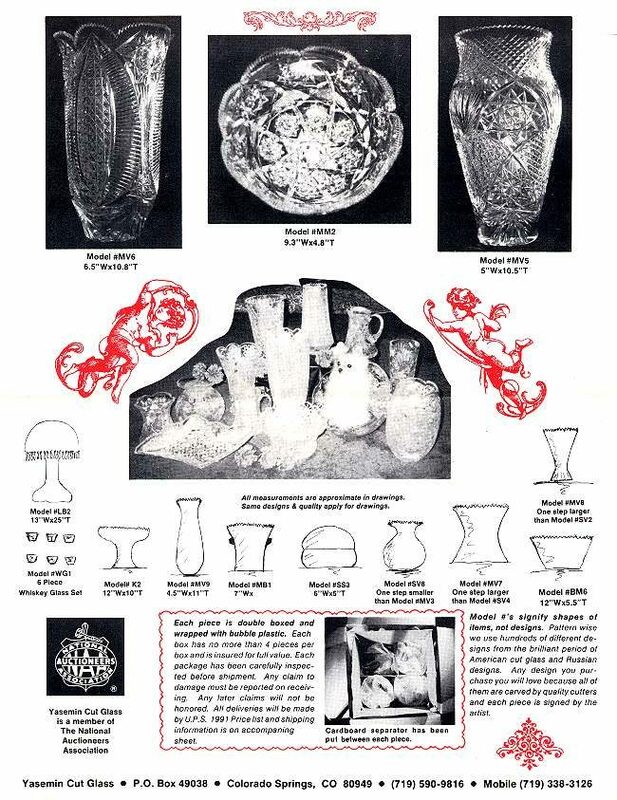 Apparently, some of their pieces were signed in a script that is not easy to read and often is incomplete. 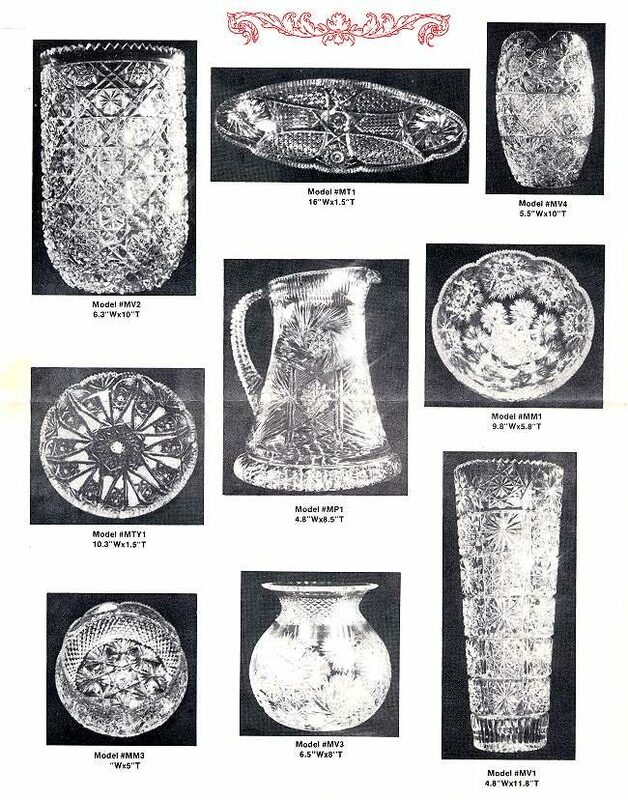 We have scanned the pages of the catalog for your review. 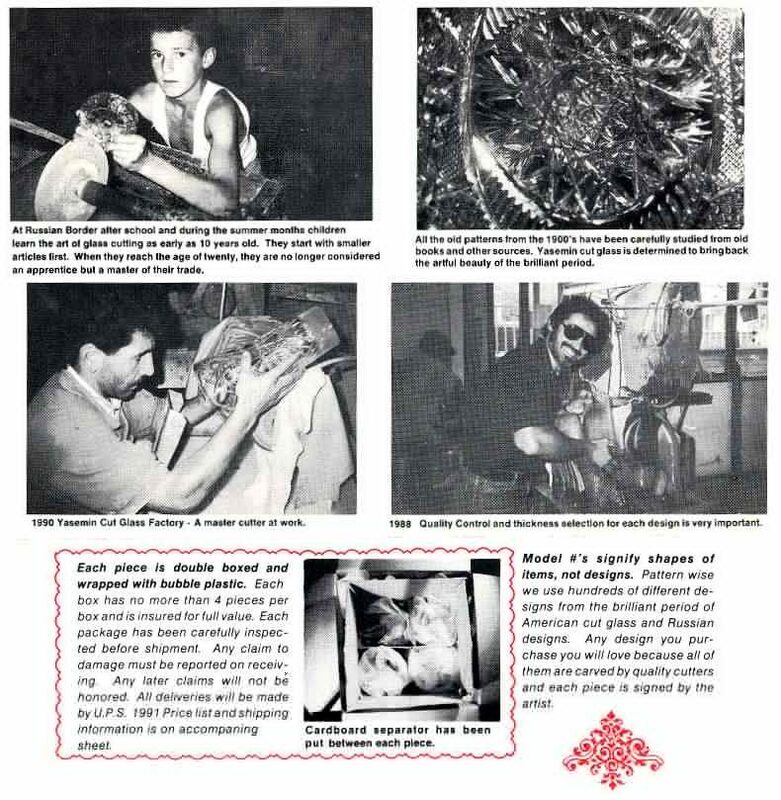 One of the catalog pages shows 1988 and 1990 photos of two workers at the Yasemin factory. 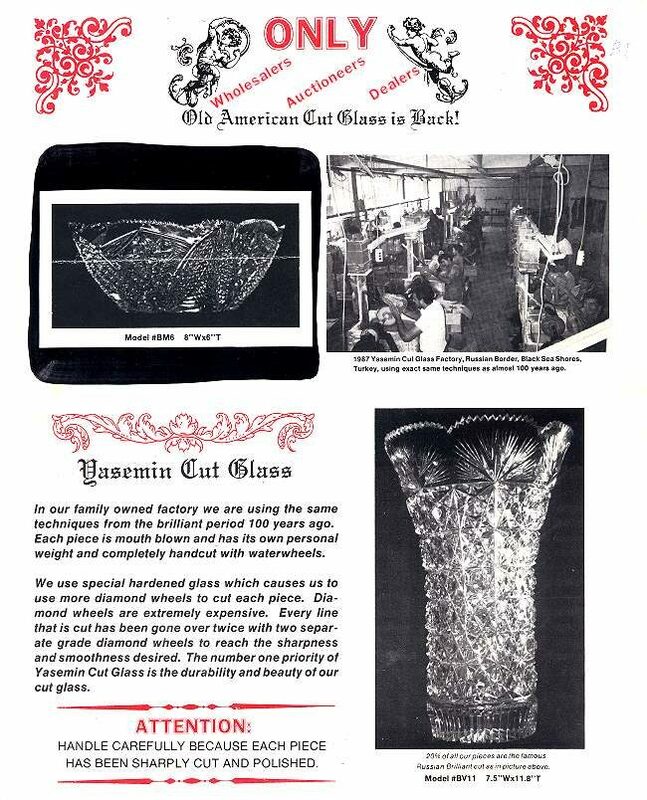 We would appreciate your opinions and comments regarding Yasemin Cut Glass.